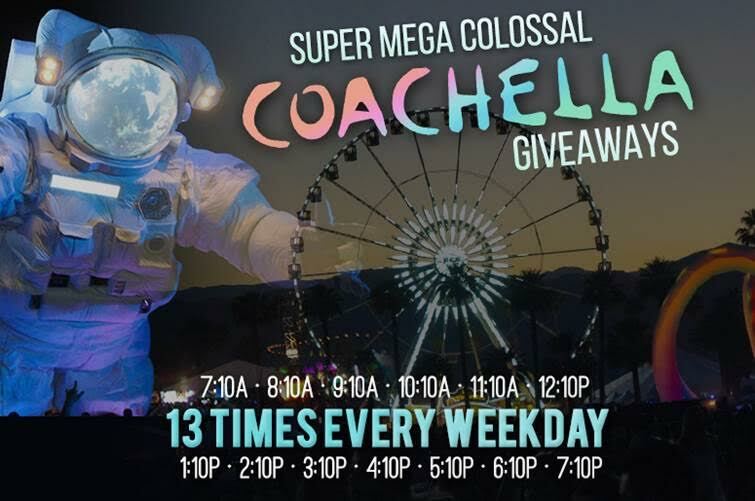 SAN DIEGO, CA – January 3, 2017 — San Diego’s #1 Alternative Station, FM 949 (KBZT FM) is giving San Diego radio listeners the MOST chances to win wristbands to check out the freshly released lineup for The 2017 Coachella Valley Music and Arts Festival in Indio, California. 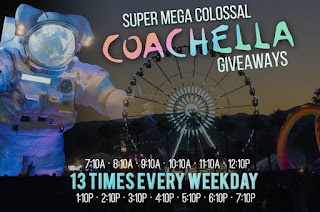 Starting on Monday, January 9th, listeners of the station will have 13 chances every weekday to win Coachella wristbands, and additional weekend chances starting January 14th and 15th. 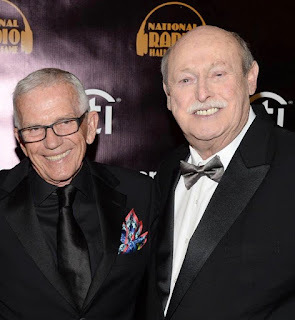 Listeners who sign up on the station’s website, and hear their name called at one of the 13 appointment times each weekday, will have 9 minutes and 49 seconds to call back to 619.570.1949 to win a pair of festival wristbands. Listeners can sign up now on the station’s website, at www.fm949sd.com, and begin listening for their name at 7:10am on Monday, January 9th.